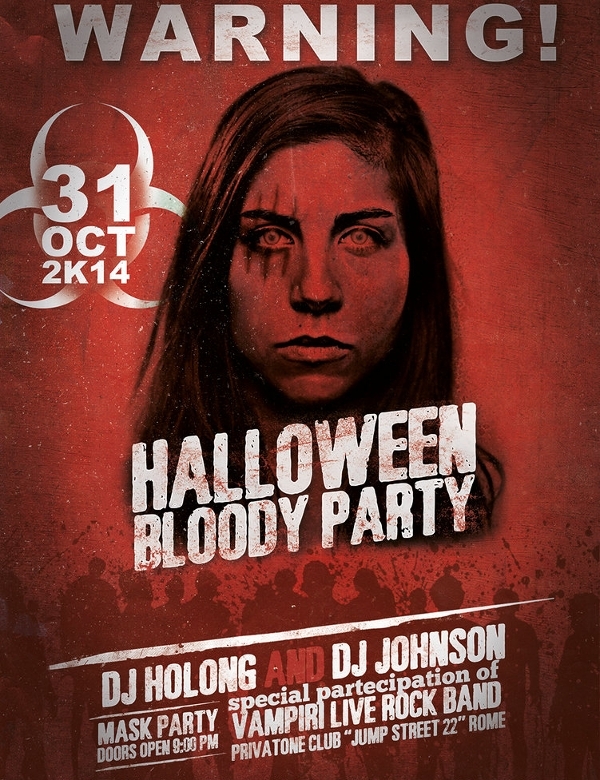 Halloween parties are meant for total fun. The more people crowd the place, the better is the fun element. 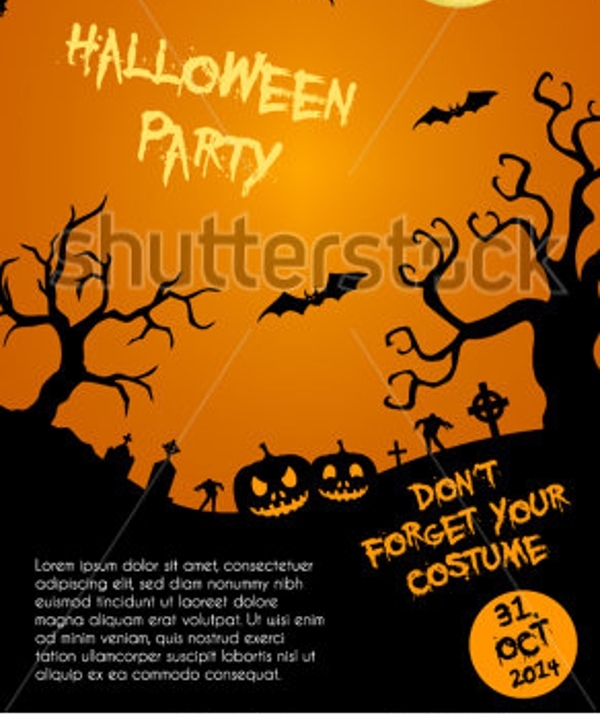 But most of the time, people ignore some Halloween parties due to lack of good advertisement. 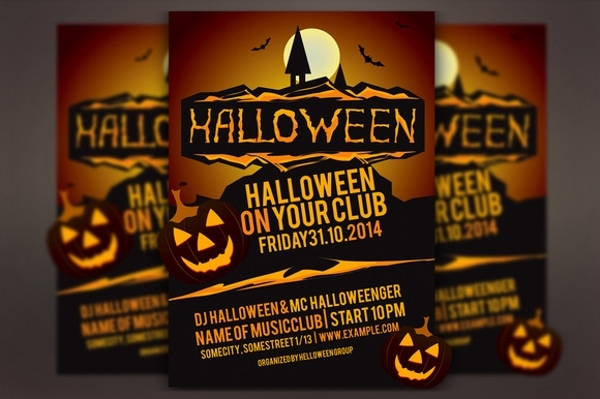 That is exactly where you need Halloween party Event Flyer Template. They have killer design to attract people naturally to the event. 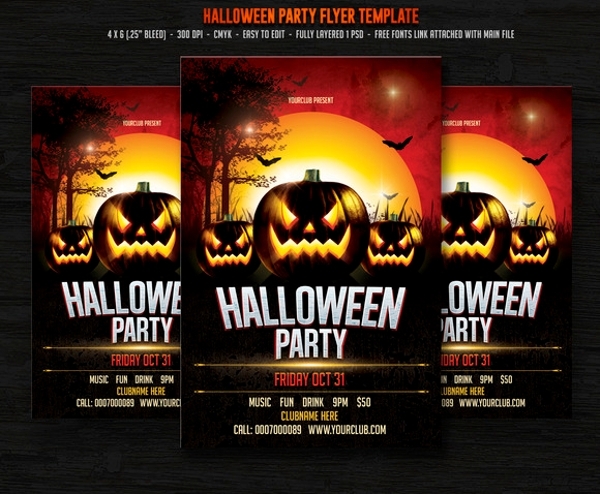 You can use them in social media, as banners in front of the venue or circulate in public to reach out to more people and increase the conversion rate like never before. 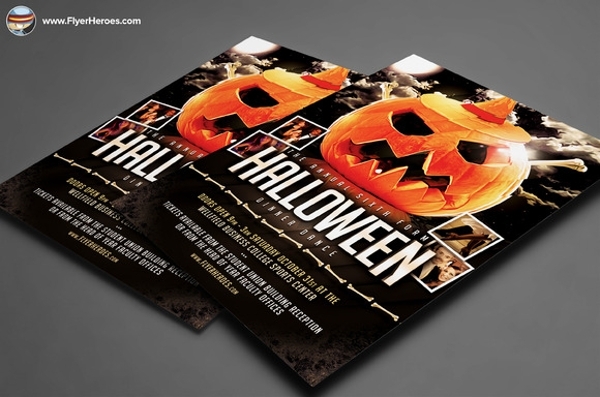 Be it an adult party, night party or general ones, these awesomely designed Halloween party flyers can be tweaked to match your requirements. 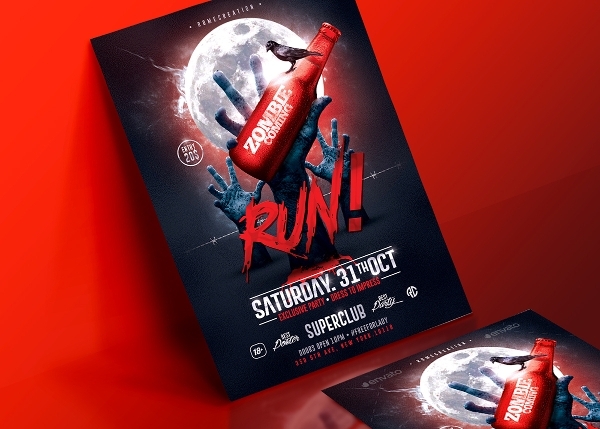 This beautifully designed flyer comes in CMYK color mode with 300 dpi quality. 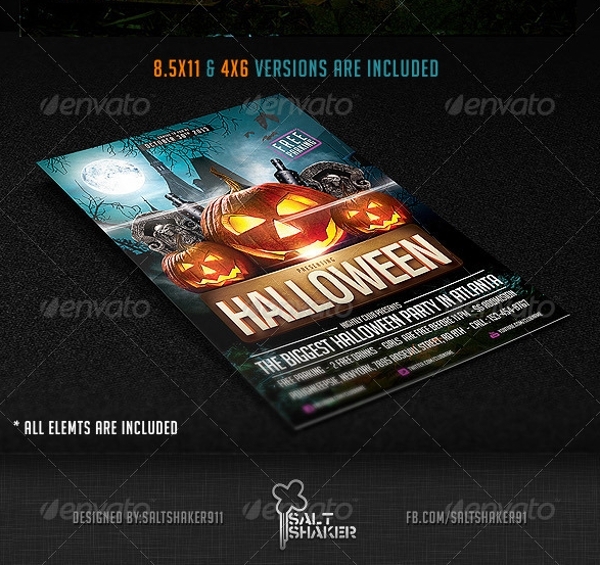 Color combination is very eye-catching and all the texts on it are fully editable. PSD file is well organized to make it easy and quick while customizing the color combination and objects. 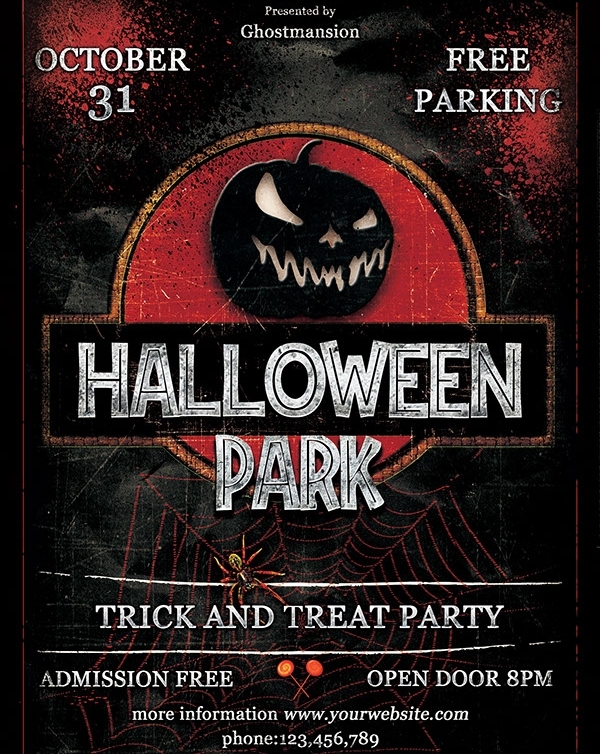 This amazingly designed scary flyer is attention grabbing due to its objects and color combination all of which can be tweaked as per your need. It is fully vectored and the files are available in EPS and AI format. It is scalable in any size. 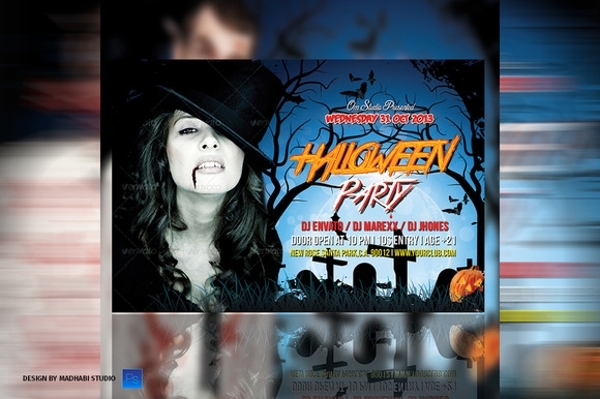 This colorful bluish flyer is best suited for parties, events related posters that are placed in front of clubs. It comes with millions of vectors and illustrations which could be added to match your requirements. The image editor helps in editing color combination. 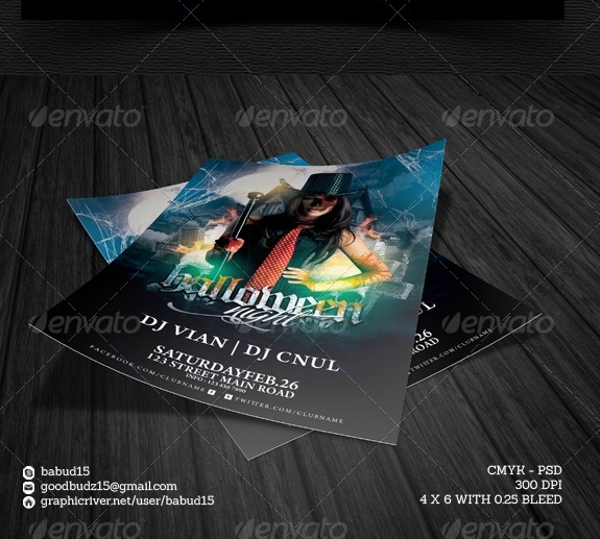 This retro graphical flyer comes with 300 dpi quality and has a dimension of 8.5 x 11.9”. It is in CMYK mode which is used for taking prints. 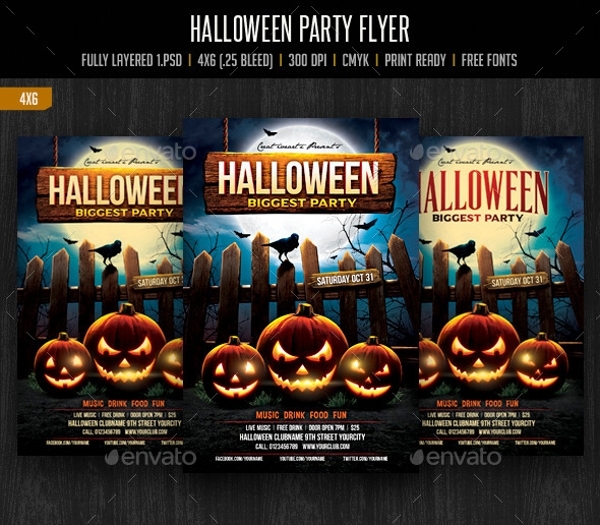 All the texts on it are editable along with certain components which can be tweaked to reach your desired flyer. 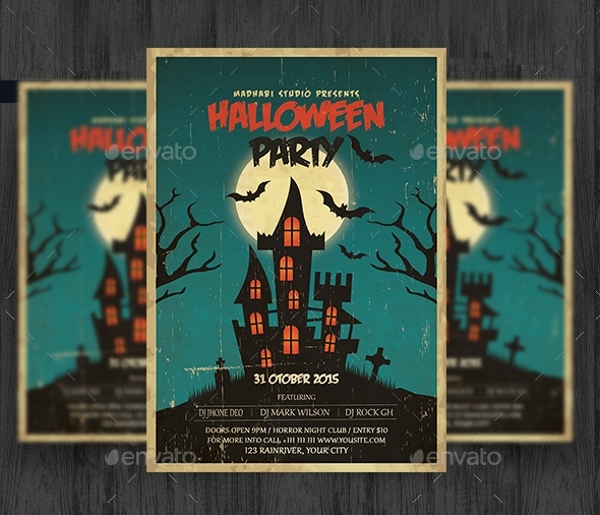 This colorful flyer has a perfect blend of eye-catching colors and modern fonts. 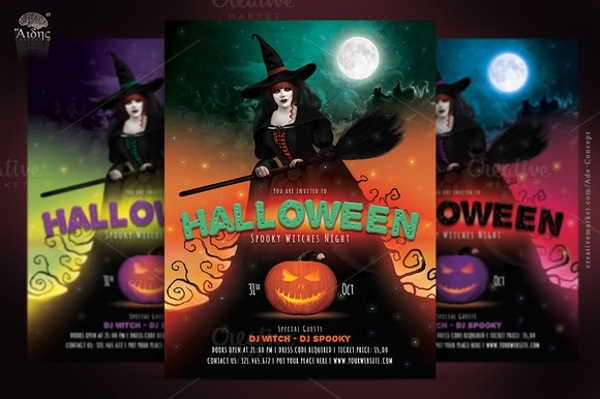 It is professionally designed and yet the perfect Halloween look is maintained. The objects on it are customizable as well. It is print ready with CMYK mode. 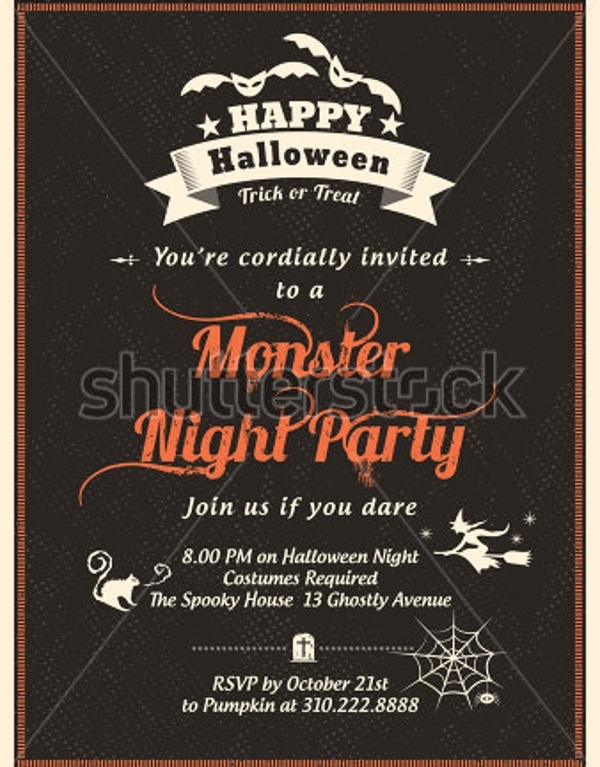 This retro styled flyer template has a professional invitation card look. It comes with several object replacement and editing options such as millions of illustrations and vectors can be placed on them. Image editor helps in perfecting the look. 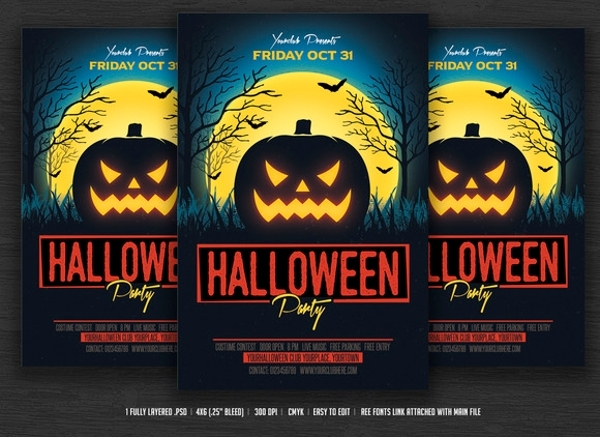 This killer flyer is print ready with CMYK mode and 300 dpi quality. Editing is easy as the PSD file is well organized and textures and color combination are fully customizable. It also provides the font used so that you can add your own texts. 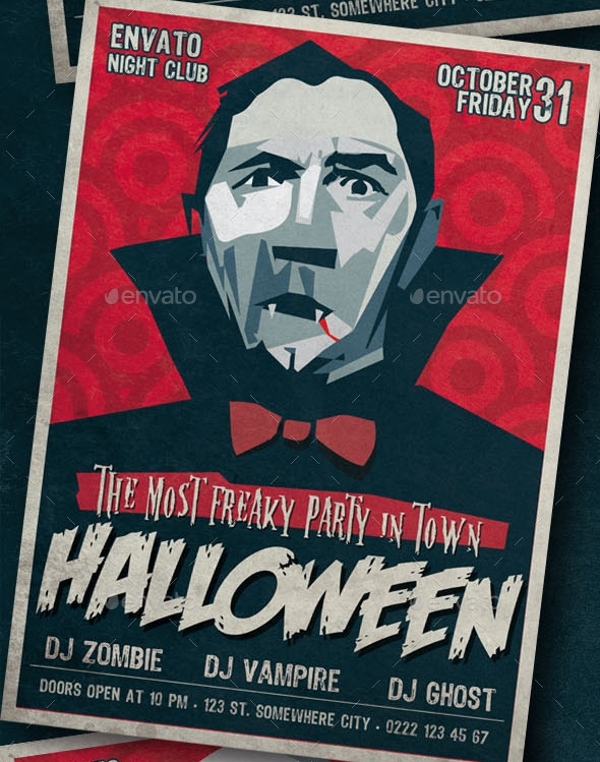 This classic Halloween flyer has a dimension of 6×8 inches with 300 dpi quality and CMYK mode. 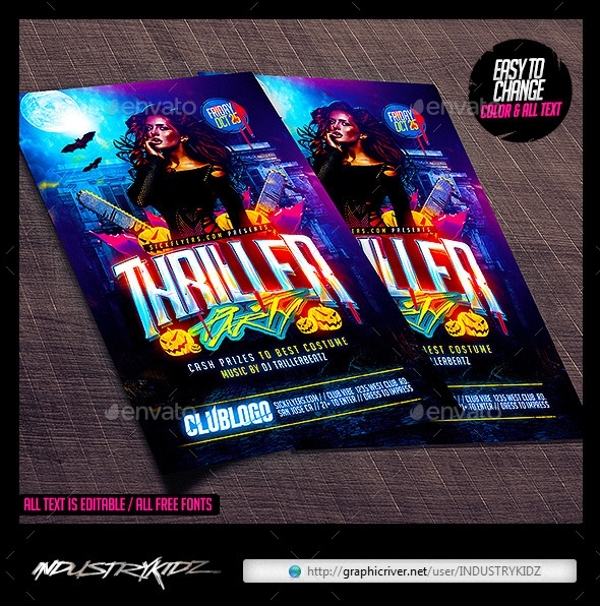 It is quite colorful and tailor made for clubs and discotheques. It provides you 3 alternatives in design and the user manual is provided for easy editing. 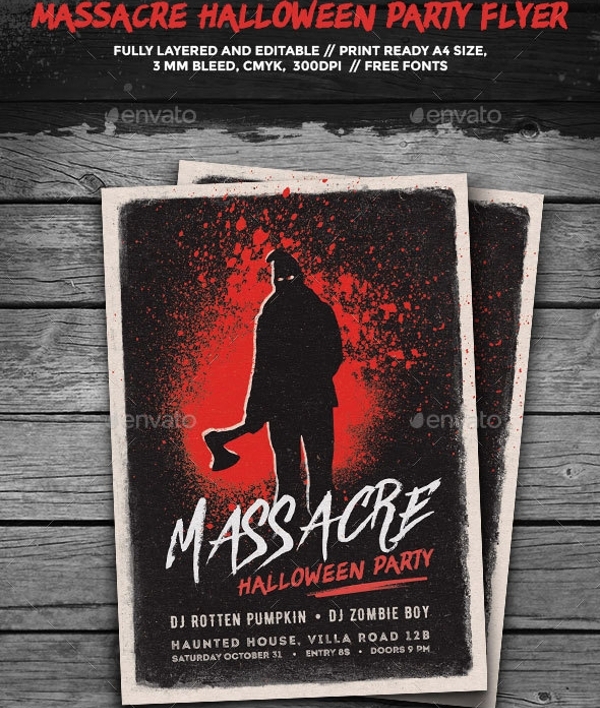 This yellowish scary scene flyer is better suited for invitation and posters. 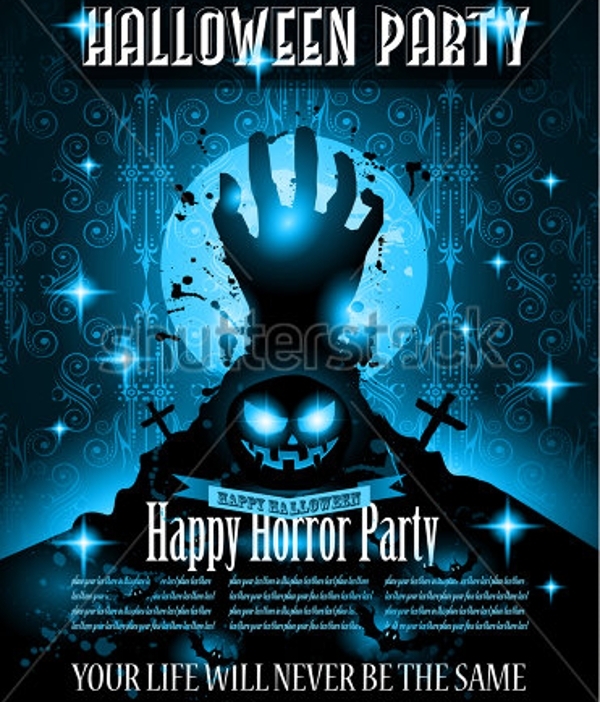 It is in printable CMYK mode and comes with several vectors and photos with illustrations to make the posters even scarier. Image editor helps in tweaking the color combination and objects. 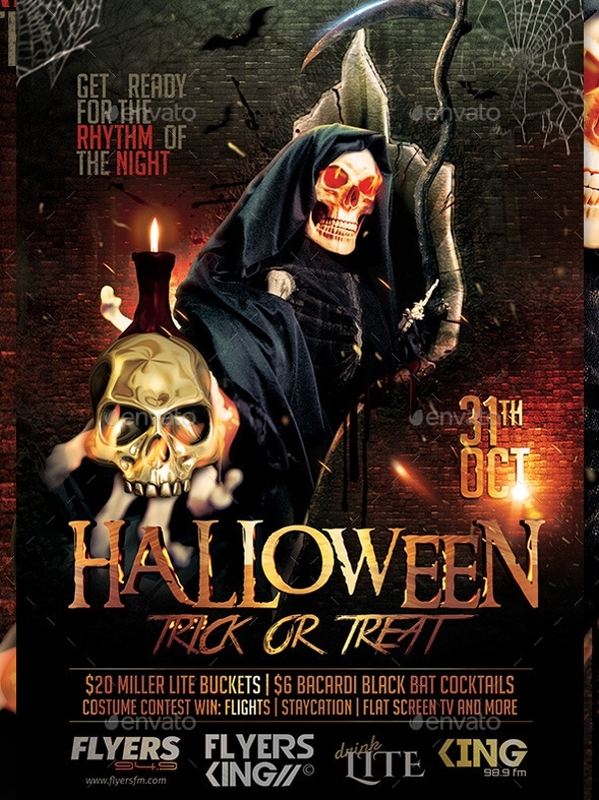 This awesome looking flyer is totally editable and a video tutorial is provided for better customization. It is print ready with 300 dpi. All texts are editable with provided fonts. It is 4 x 6 inches in dimension. Objects can be replaced with new designs. 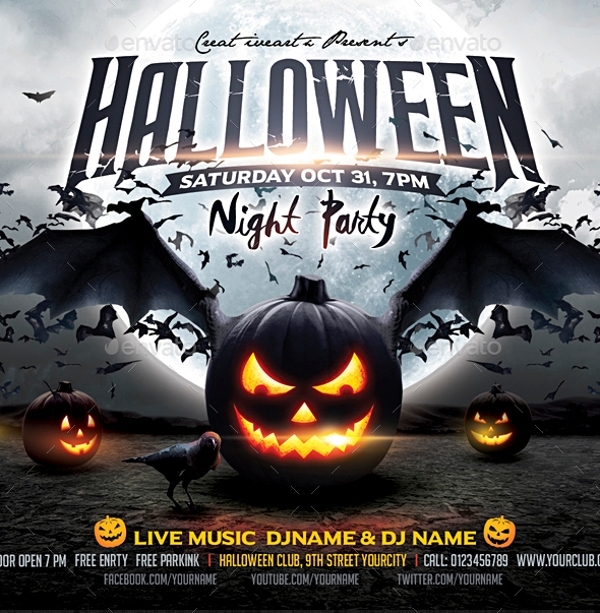 The above mentioned Halloween party flyer cater to all needs in terms of color combination, modern and retro look, super-awesome fonts and attractive objects. The designs are world-class and your party is sure to become an elite one should you choose to use them for your event.